Quantum Information Processing has the potential to revolutionize the future of information technologies. The interdisciplinary character of this research area necessitates the simultaneous advancement of research on the theoretical and practical aspects of the field, from the point of view of Computer Science, Theoretical and Experimental Physics. For this reason, we created a centre where a multi-disciplinary team of researchers from different organisations, including CNRS, Télécom ParisTech, participating Universities, INRIA and others, are able to collaborate, host renowned visitors, hire post-docs and PhD students, with the objective of performing higher impact research and becoming a focal point for research in quantum computing in Europe and internationally. PCQC has around 20 core members. PCQC aspires to break the ground for the development of novel quantum information and communication technologies by uniquely combining concepts from quantum computation, communication and cryptography and eventually lead the way from a Personal Computer (PC) to a Quantum Computer (QC). 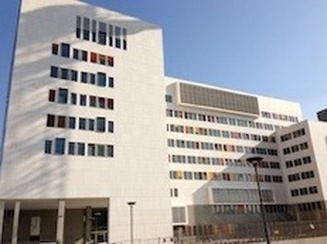 The long-term objectives of the centre are: high impact, interdisciplinary research; international visibility for the quantum research in Paris and in France; the dissemination of quantum research via workshops/visits and students exchange; and the collaboration with industry for the commercialization of end-to-end quantum solutions. PCQC is a 'Federation de Recherche' FR n°3640 between the Centre National de Recherche Scientifique (CNRS), the Universite Paris Diderot, the Universite Pierre et Marie Curie, and the Telecom ParisTech. At the same time, the following institutions - INRIA Paris, Commissariat a l'Energie Atomique et Aux Energies Alternatives (CEA), Institut d'Optique, Universite Paris-Sud - also participate in PCQC through their researchers-members of the centre. The direction of the centre is assured by a Director and a Scientific council. For the period 2014-2017, the director is Iordanis Kerenidis.